One day, a man had left his house to run some errands. But when he returned he noticed something unusual on his bed. 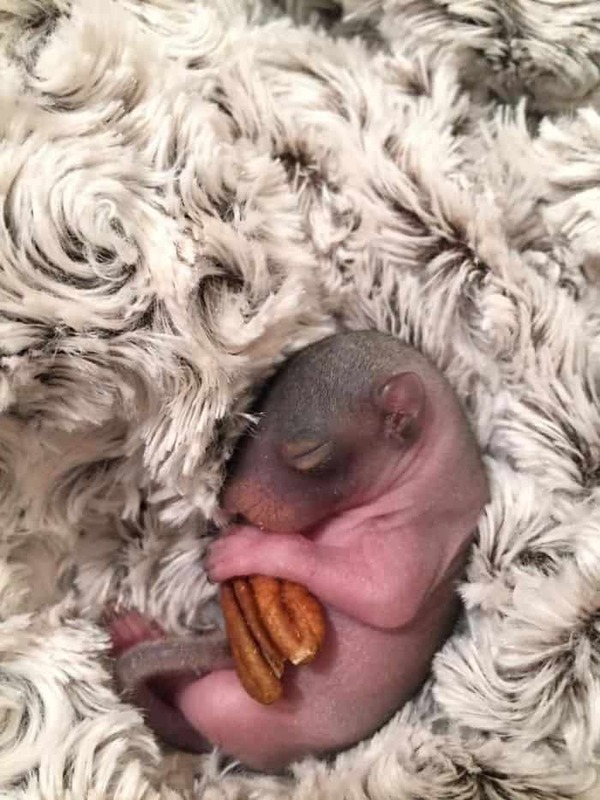 He found that a mother squirrel had made a nest of twigs, dried pines and branches on his bed for her two newborn squirrels. 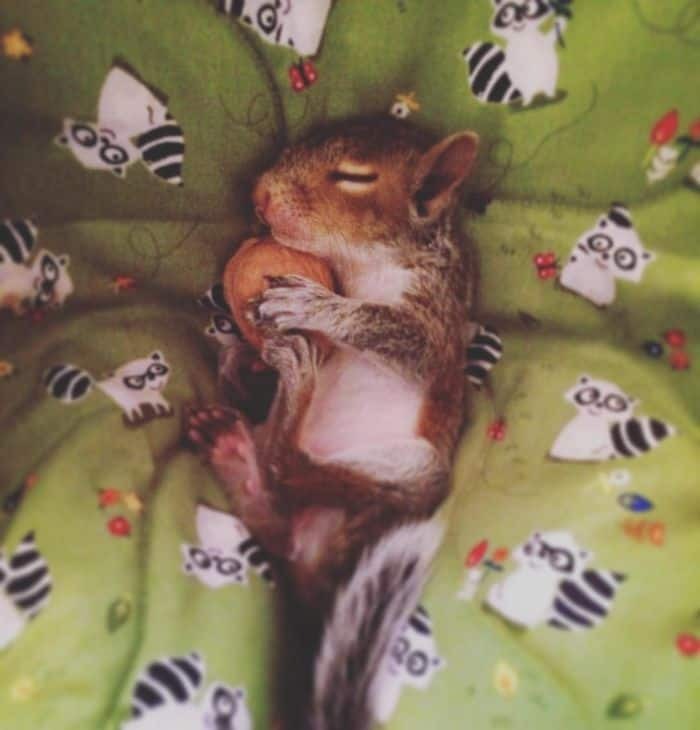 He contacted an animal rescue team to try and help the baby squirrels. Wildlife rehabilitators Christina and Michael were called out to the scene. And it was quite unusual compared to other callouts they’ve had. They worked hard to try and reunite their babies with their mother. 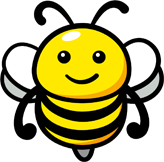 However, it would appear that the mother was busy fetching materials for the nest and she had no intention of taking her babies with her. Eventually, the mother squirrel stopped coming back to the house altogether. 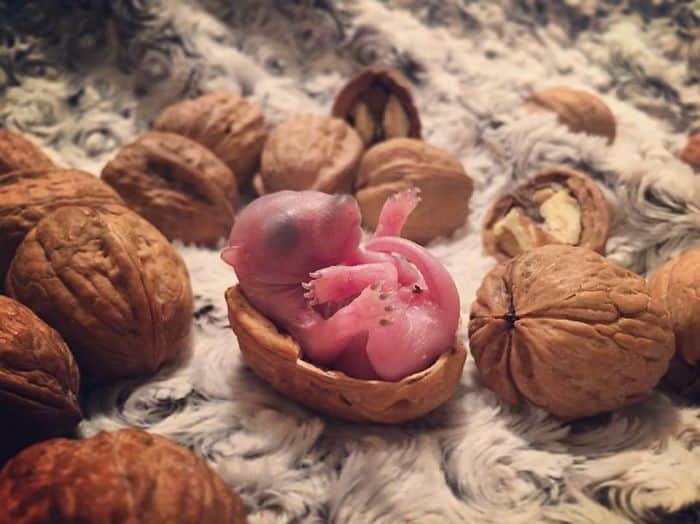 Sadly, one of the baby squirrels didn’t make it. 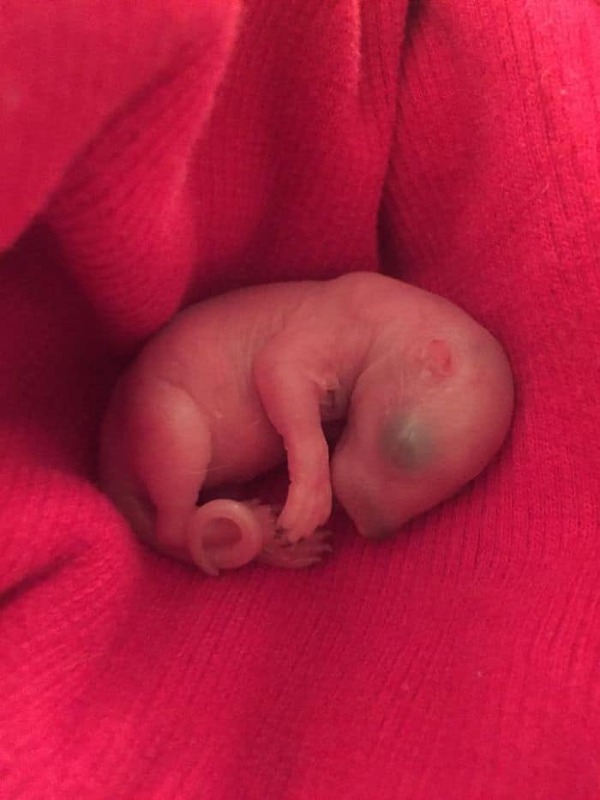 Then the news got worse, after an assessment by a local wildlife vet, it was determined that the remaining baby would not be able to survive on her own either. That’s when Christina and Michael both decided to step in and adopt the baby squirrel. 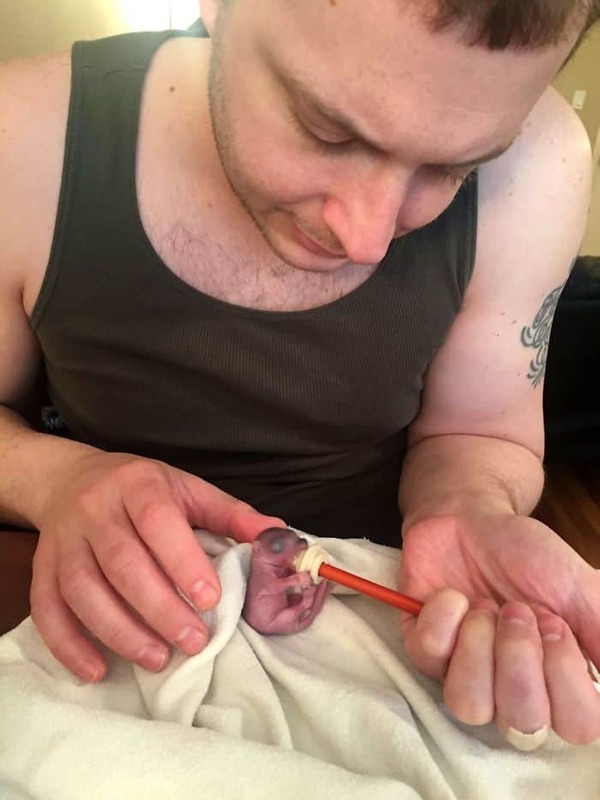 They named her Thumbelina because she was so tiny and they wanted to do all they could to help keep this adorable little creature alive and well. 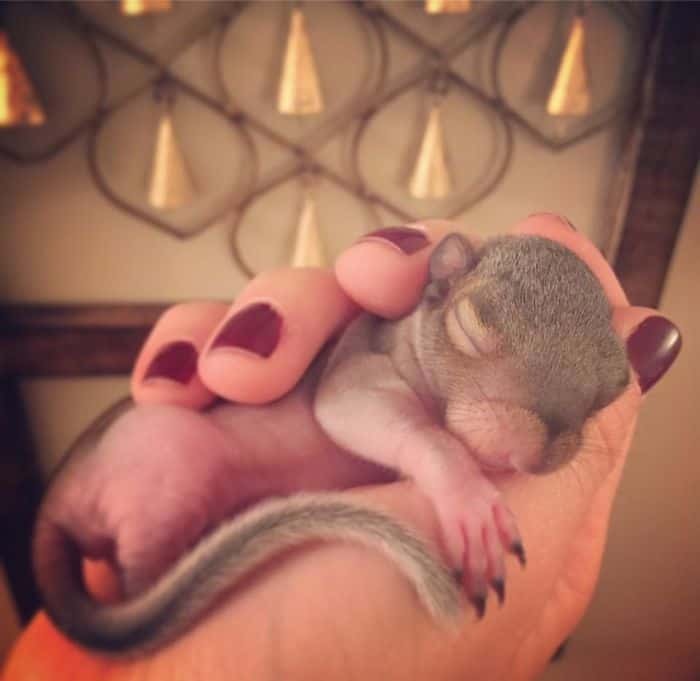 Little Thumbelina is an Eastern Grey Squirrel, who was born in New York City, on a frigid March morning. 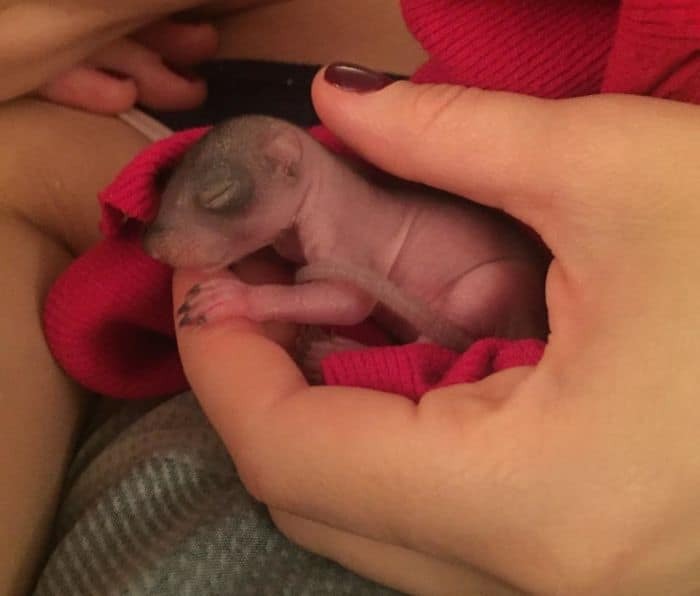 Her Momma’s nest was destroyed due to nearby construction, and in a desperate attempt to keep her family safe, she crawled into a 10th story window and gave birth two tiny babies on a stranger’s bed, while he was away at work. 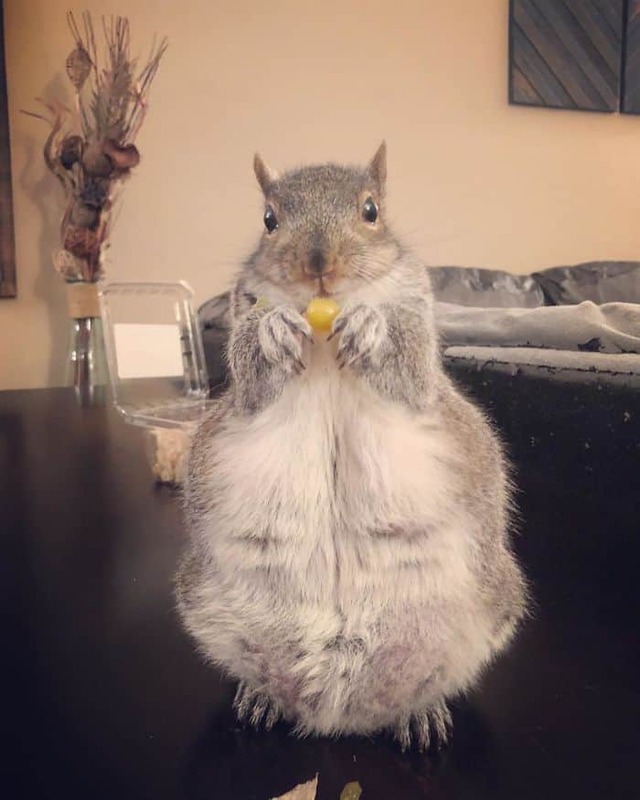 Because of the unusual birthing season and the fact she had lost her little sister, Thumbelina had to grow up by herself with no other interaction from squirrels. 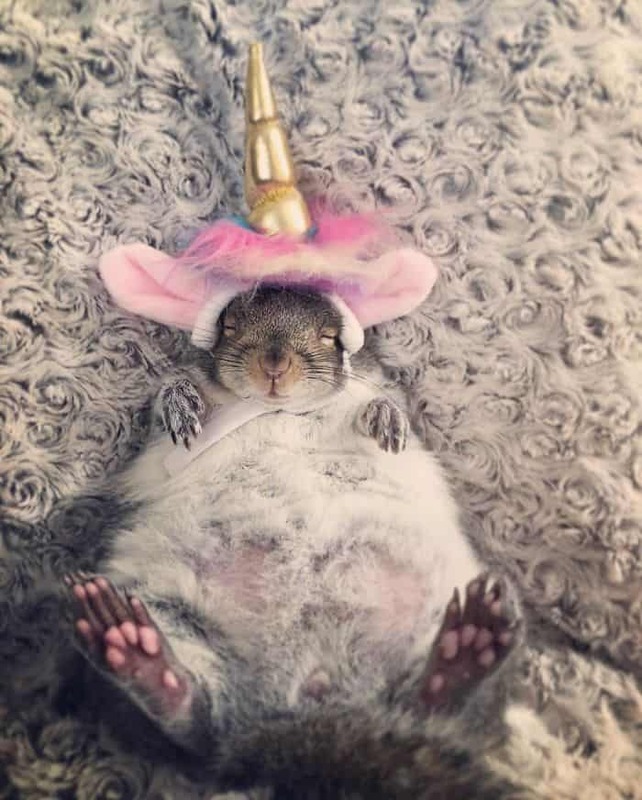 The way Thumbelina developed was different from most squirrels. Most babies don’t care about milk as they’d already tasted real food but this squirrel loved drinking milk from a bottle. Instead of running and climbing, she would walk around and sit comfortably with Michael and Christina. 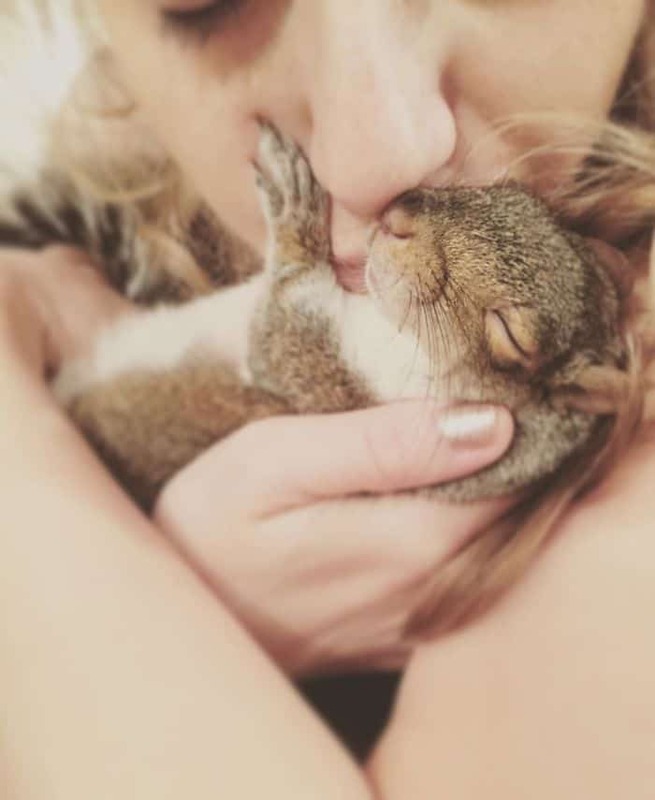 Despite their best efforts, Thumbelina had no interest in being reintroduced to other squirrels. 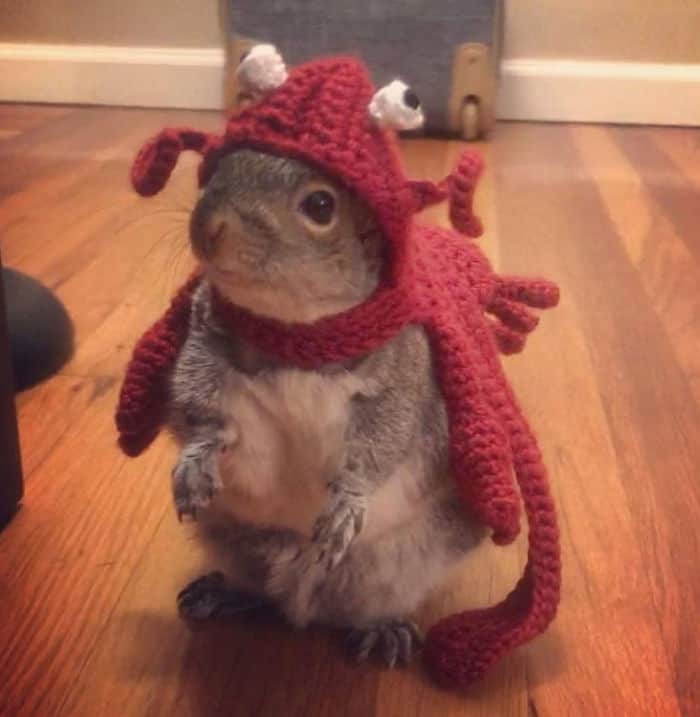 I don’t know what she thinks she is, but it’s definitely not a squirrel. 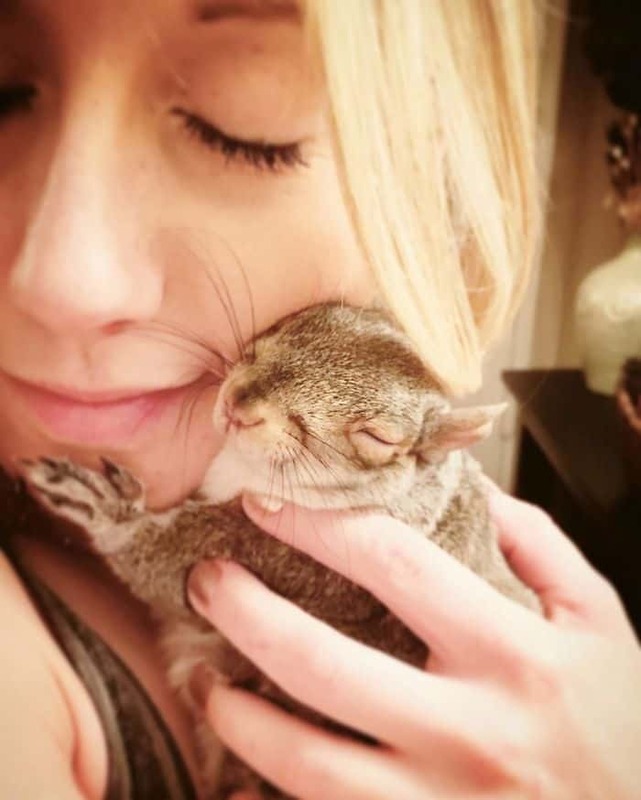 However, Thumbelina is now a very happy squirrel who loves hanging out with her human parents. 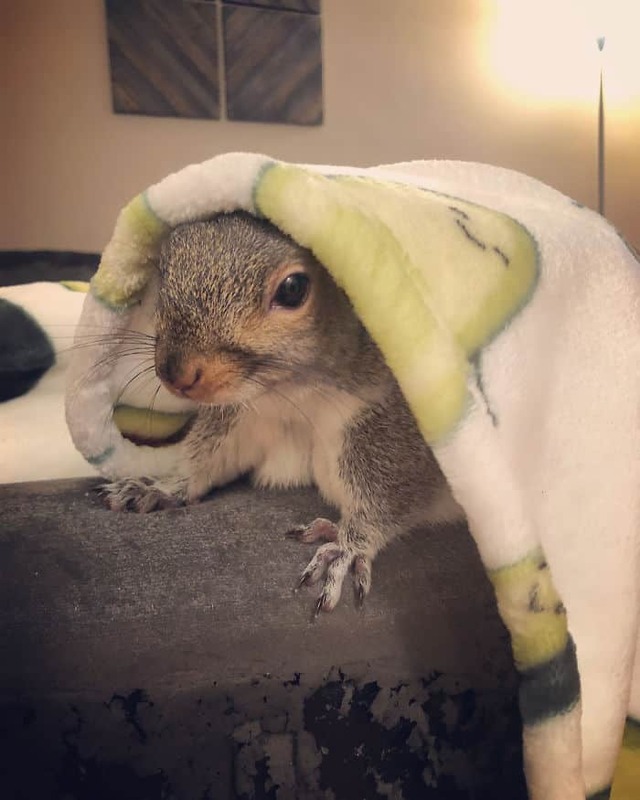 Strangely, she hates the outdoors, cold weather, other squirrels and the vacuum cleaner. But she does love peas and avocados. We’re just glad she’s found a family to love and care for her after her difficult start in life. 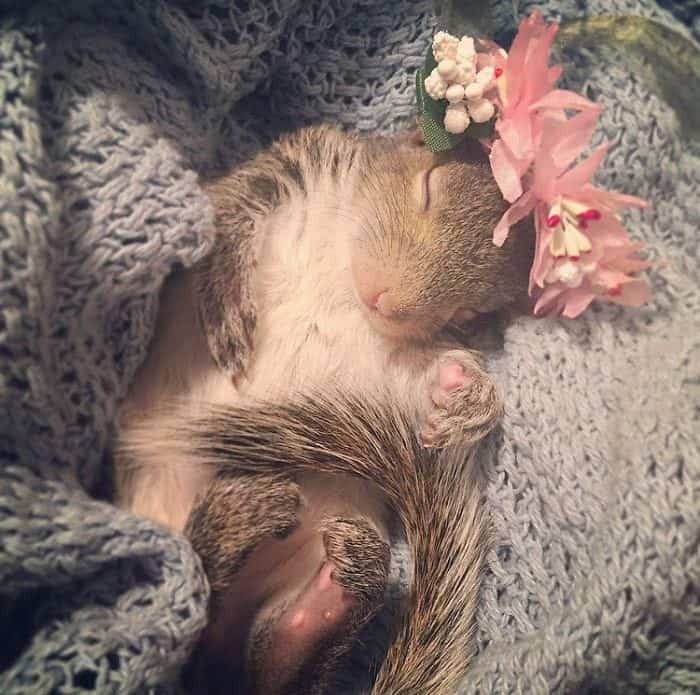 I wish I had a little Thumbelina of my very own. She’s utterly adorable!